Vor einem Jahr habe ich über den Kauf eines Grundstücks ohne Baupflicht ausführlich berichtet. Ich war damals in der Probezeit (was die Darlehensgenehmigung schwer jedoch nicht unmöglich machte) und mein Plan A war nach der Probezeit mit Hausbau anzufangen. Die Idee war, die monatliche Kaltmiete in die Monatsrate umzuwandeln, was ohne jeglichen Zusatzaufwand ca. €27000 sparen würde. Allerdings hat es mit dem neuen Job nicht rightig geklappt, so kommt nun Plan B: Verkauf des Grundstücks nach dem Ablauf der Spekulationsfrist. In diesem Beitrag zeigen wir Schritt für Schritt die Kalkulation dieses Plans mittels unseres Quantitatives Toolbox. U.a. zeigen wir, dass der Grundstückerwerb eine bessere Alternative als ein Aktiensparplan war! Continue reading "Häuslebau II – Plan B: Bau wird verschoben bzw. sogar aufgehoben"
A year ago the Business Insider reported about the "the stocks market&apos;s robot revolution". Whereas the title was crying, a summary was more reserved: The fund has outperformed the S&P 500 so far, but a much longer trading period is needed to assess whether it can truly offer market-beating returns. I scheduled in my calendar to have a look at this fund in a year, telling a colleague, who pointed me on AIEQ that I would bet a bottle of whisky (bot not a farm!) that this ETF will perform worse than its benchmark. I turned out to be right. 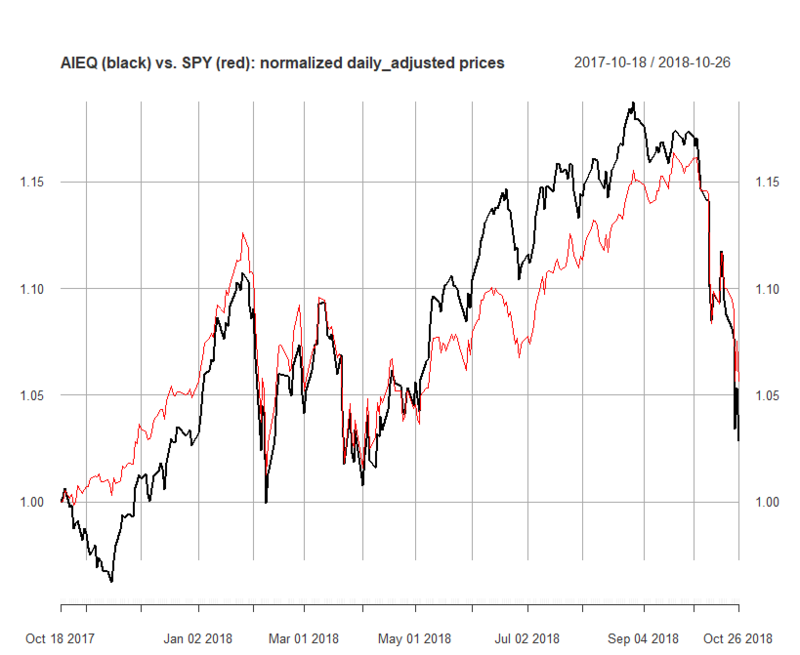 Continue reading "AIEQ the AI Powered Equity ETF: Artificial Intelligence is Still Losing to a Natural Stupidity"
A very important question, which every trader or investor encounters is how many trades to commit or how many stocks to hold in portfolio. Whereas the law of the large numbers readily gives a [naive] answer "the more the better", in practice the answer is often better less but better. Continue reading "Optimal Number of Trades: better less but better"
Etablierung der unabhängigen (und deswegen entgeltlichen) Finanzberatung, sowie die transparente und nachvollziehbare Vermögensverwaltung wäre ein großer Vorschritt für die Deutsche Finanzindustrie. Das strebt anscheinend die Quirin Bank. 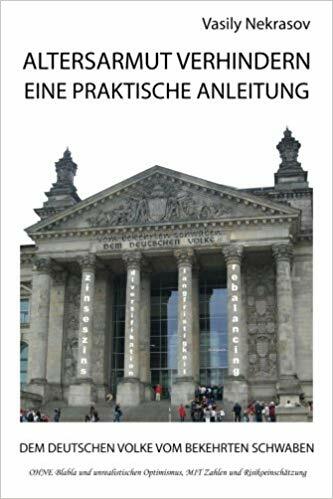 Doch gibt es einige wesentlichen Unterschiede zwischen der Werbung, dem roten Buch von Quirin und der Tatsache. Continue reading "Quirin Honorarberatung: gut gedacht aber schlecht gemacht"
Stock tickers from M to Z. Continue reading "Volatility Clustering and Piecewise Homoscedasticity – Part II – 2940 stocks – [M-Z]"
Stock tickers from G to L. Continue reading "Volatility Clustering and Piecewise Homoscedasticity – Part II – 2940 stocks – [G-L]"
Volatility clustering plots for stocks with yahoo.finance tickers from D to F. Continue reading "Volatility Clustering and Piecewise Homoscedasticity – Part II – 2940 stocks – [D-F]"
Volatility clustering plots for stocks with yahoo.finance tickers from A to C.
Continue reading "Volatility Clustering and Piecewise Homoscedasticity – Part II – 2940 stocks – [A-C]"
We continue publishing the visualized results from Vasily Nekrasov's research. Reportedly, when Warren Buffett happens to hear complains that there are thousands of stocks to scrutinize, he says "well, start with letter A". We go even further and start with digit 0, since there are (were) suchlike tickers by yahoo.finance. Continue reading "Volatility Clustering and Piecewise Homoscedasticity – Part II – 2940 stocks – [0-9]"
This is a well-known fact that the stock prices are virtually unpredictable. However, stock volatilities can more or less be forecasted! In 2012 Vasily Nekrasov scrutinized about 3000 asset price time series, obtained from yahoo.finance. Approximately in half of cases the volatility was piecewise-stationary and thus predicatable. We put online the technical record from 2012 and start publishing the visualized results Continue reading "Volatility Clustering and Piecewise Homoscedasticity – Part I – Indices"